Thermotherapy is the name given to the application of heat for therapeutic massage purposes. This type of massage is a very common technique in sports massage and other healing massages such as chiromassage. The heat has a positive effect on the muscular structure weather applied in solid form or creams. The benefits to the patient are virtually immediate. – Muscle or joint pain. – Chronic pain as rheumatism or arthritis. – Sedative and anesthetic effect that reduces pain. 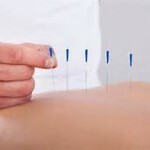 – Relief fatigue and muscle tension. At all times the masseur will take into account the heat sensitivity and tailor the treatment according to the need of each individual. Thermotherapy is about a pleasantly heat rather than a burning sensation. Doctors and physical therapists recommend sports massage with heat to treat injuries, sprains or contractures because the heat stimulates blood flow and that will take more oxygen and nutrients to the injured area causing recover before the tissue. See below for more information. If you experience pain or have had an injury and want to see for yourself the advantages of applying heat in massage book your appointment by clicking here. 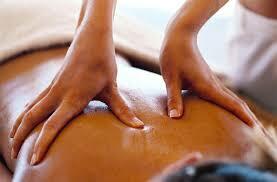 At Simplybemassage and pilates find the professionalism that you need at the heart of Barcelona.